starting from 11.00 a. m.
У складу са својом мисијом подршке образовању REHVA је објавила конкурс за студентско такмичење које ће се одржати од 21. до 23. априла 2018. у Бриселу, Белгија. As part of its commitment to extend the Society's global reach and better support its membership, ASHRAE announced the formation of a new ASHRAE Region in Europe – Region XIV, which will begin July 1, 2017. With this new region will also come a new chapter in Ireland, which will be vitally important for industry collaboration throughout Europe. Additionally, the Society announced two strategic partnership agreements with the signing of new Memorandums of Understanding (MoU) with high-profile European societies. The first is a trilateral agreement with the Chartered Institute of Building Services Engineers (CIBSE), which is based in the UK, and the Federation of European Heating, Ventilation and Air-Conditioning associations (REHVA). REHVA is a federation of 26 European HVACR Societies with more than 100,000 members. The second MoU is directly between ASHRAE and REHVA. Both agreements will increase the knowledge transfer from the societies between North America and Europe, and outline how the groups will work together more closely and with more defined parameters to continue furthering and promoting the advancements of HVAC&R technologies. These include but are not limited to: research; joint conferences and meetings; training and education programs; publication distribution and chapter collaboration. These announcements were among many made during the inaugural address of incoming 2017-18 ASHRAE president, Bjarne W. Olesen, Ph.D., Fellow ASHRAE. During his speech, Olesen presented his presidential theme, which is "Extending Our Community." Through this theme, Olesen will focus on extending ASHRAE's global community, technological horizons and overall value to the Society's members. The formation of the new region, along with these agreements, are directly in-line with the directives set forth by Olesen and will further equip ASHRAE to continue meeting and exceeding its members' expectations, as well as better anticipate them on a global scale. "Extending our global community will acknowledge our interconnectedness and embrace our shared needs and objectives," Olesen said. "By creating a new region and strengthening our relationships with associate societies in Europe, our members will be even more empowered to continue producing and sharing technical guidance worldwide. This will, in turn, bolster our industry's global diversity as we work toward a more sustainable world." Olesen also announced that the Society is establishing the ASHRAE Global Training Center for Global Excellence in Dubai, which will serve ASHRAE members and other building systems professionals in the Gulf Region and in surrounding areas. center's instructors will be engineers familiar with the intricacies of the Middle East. It is scheduled to open in September. Further details about the ASHRAE Global Training Center will be announced in the coming weeks. ASHRAE, founded in 1894, is a global society advancing human well-being through sustainable technology for the built environment. The Society and its more than 56,000 members worldwide focus on building systems, energy efficiency, indoor air quality, refrigeration and sustainability. Through research, standards writing, publishing, certification and continuing education, ASHRAE shapes tomorrow's built environment today. More information can be found at www.ashrae.org/news. Following my previous e-mail and according to the agreements we had in London, the new MoU with ASHRAE was signed in Long Beach, California during the ASHRAE Summer Meeting. Now, the heavy work has to start within a joint Task Force to elaborate the details of implementing this agreement. Our first and main objective is to discuss and define organic models governing the interactions in Europe among the different bodies at different scale (National Associations, ASHRAE chapters, and clubs at local level; our Federation and the ASHRAE European Region) while keeping the leadership of National Associations as the fundament of every REHVA policy and activity. Within this framework, we will create a forum for open discussions on the issue and seek the feedback of each REHVA Member Association in the coming months. If necessary, we can organise a Plenary Meeting at the REHVA headquarter in Brussels by the end of this year. Moreover, I stress the importance of your participation to our 2nd Plenary Meeting scheduled during our 2018 Annual Meeting from 21 April till 23 April in Brussels. I wish you all the best for the summer and look forward to continuing our fruitful discussions. 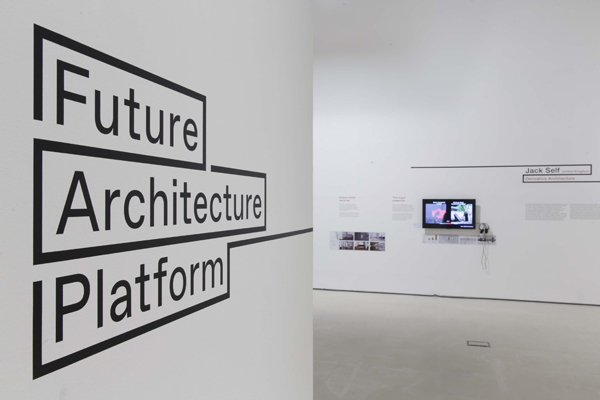 Пројекат Платформа за будућност архитектуре (Future Architecture Platform) покренуо је Музеј за архитектуру и дизајн у Љубљани и реализује се у сарадњи са 14 европских институција. Кроз програм Креативна Европа, овај пројекат подржава и Европска комисија. Поред Београдске интернационалне недеље архитектуре, сарадници на пројекту су Национални музеј уметности XXI века у Риму, Музеј архитектуре у Вроцлаву, Швајцарски музеј архитектуре у Баселу, Кућа архитектуре у Грацу, Кућа архитектуре у Загребу, CANactions у Кијеву, Ruby Press у Берлину, Копенхашки фестивал архитектуре, Лисабонско тријенале архитектуре, Недеља архитектуре у Тирани, Недеља архитектуре у Приштини и Design Biotop у Љубљани. Циљ пројекта је да окупи младе архитекте, дизајнере, теоретичаре и историчаре како би се представило критичко мишљење млађе генерације о архитектонској дисциплини као и свим оним факторима који је обликују.